When you are planning to construct a lake home or renovate it, consider adding a mudroom into it. Mudroom is usually placed in the garage, back door, or external location to the house. This room is used as an area where boots, umbrellas, outdoor toys, and many more things are stored. It is recommended that mudroom is made of wood or ceramic tile flooring for easy clean up. When living on a lake, mudroom becomes especially necessary and useful room. There are several reasons pertaining to implementing a mudroom in your lake house. We will discuss some of them below. 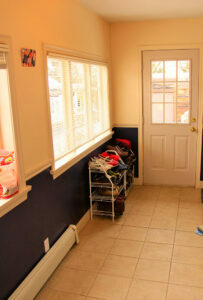 The original purpose of the mudroom when it was initially started was to keep the house clean. Today, this statement still holds true, especially for families with children. The name of the room, mudroom, implies a place to take all dirty and wet items such as dirty boots or shoes, sports equipment, backpacks, wet towels, etc. Living and playing on the lake will most likely mean you will return to the house wet or even muddy. Thus, all the dirt and mess goes in just one room, rather than the whole house. That makes it very easy to clean. We all have those items that we almost never use but still occasionally come in handy. Mudroom eliminates this problem; it can be used as a storage room for these items as well to save the space from the other rooms. For lake houses, this is an especially useful benefit. There are lots of equipment such as swim suits, hiking gears, rowing paddles, among other things that need to be stored somewhere. This is particularly true if you do not have a boat house. This is especially helpful when season changes are taking place, and in the lake, these changes are greater. During these periods, there will be lake related material that you may not use for several months. Winter season means we need gloves, hats, and coats whereas summer means shorts and flip-flops. Why let these clothes and accessories take all your space in the wardrobe when you can relocate all unnecessary clothing for the current season in the mudroom? A mud room can be a great addition to any room, but they especially add value to homes by the lake! 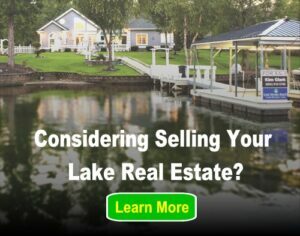 Should I Buy A Lake Home or a Lake Cabin?